We investigate the wavenumber scale of Fe I and Fe II lines using new spectra recorded with Fourier transform spectroscopy and a reanalysis of archival spectra. We find that standards in Ar II, Mg I, Mg II, and Ge I give a consistent wavenumber calibration. We use the recalibrated spectra to derive accurate wavelengths for the aD6−yP6 multiplet of Fe II (UV 8) using both directly measured lines and Ritz wavelengths. Lines from this multiplet are important for astronomical tests of the invariance of the fine-structure constant on a cosmological time scale. We recommend a wavelength of 1608.45081 Å with one standard deviation uncertainty of 0.00007 Å for the aD69/2−yP67/2 transition. P. J. Mohr, B. N. Taylor, and D. B. Newell, “The 2006 CODATA Recommended Values of the Fundamental Physical Constants” (Web Version 5.2). Available: http://physics.nist.gov/constants [2010, May 11]. National Institute of Standards and Technology, Gaithersburg, MD 20899 (2007). M. T. Murphy, J. K. Webb, and V. V. Flambaum, “Further evidence for a variable fine-structure constant from Keck/HIRES QSO absorption spectra,” Mon. Not. R. Astron. Soc. 345, 609-638 (2003). H. Chand, R. Srianand, P. Petitjean, B. Aracil, R. Quast, and D. Reimers, “Variation of the fine-structure constant: very high resolution spectrum of QSO HE 0515-4414,” Astron. Astrophys. 451, 45-56 (2006). V. A. Dzuba, V. V. Flambaum, and J. K. Webb, “Space-time variation of physical constants and relativistic corrections in atoms,” Phys. Rev. Lett. 82, 888-891 (1999). J. N. Bahcall, W. L. W. Sargent, and M. Schmidt, “An analysis of the absorption spectrum of 3c 191,” Astrophys. J. 149, L11-L15 (1967). J. C. Pickering, A. P. Thorne, and J. K. Webb, “Precise laboratory wavelengths of the Mg I and Mg II resonance transitions at 2853, 2803 and 2796 Angstroms,” Mon. Not. R. Astron. Soc. 300, 131-134 (1998). M. Aldenius, S. Johansson, and M. T. Murphy, “Accurate laboratory ultraviolet wavelengths for quasar absorption-line constraints on varying fundamental constants,” Mon. Not. R. Astron. Soc. 370, 444-452 (2006). M. Aldenius, “Laboratory wavelengths for cosmological constraints on varying fundamental constants,” Phys. Scr. T134, 014008 (2009). E. J. Salumbides, S. Hannemann, K. S. E. Eikema, and W. Ubachs, “Isotopically resolved calibration of the 285 nm Mg I resonance line for comparison with quasar absorptions,” Mon. Not. R. Astron. Soc. 373, L41-L44 (2006). S. Hannemann, E. J. Salumbides, S. Witte, R. T. Zinkstok, E.-J. van Duijn, K. S. E. Eikema, and W. Ubachs, “Frequency metrology on the Mg3s2S1-->3s4pP1 line for comparison with quasar data,” Phys. Rev. A 74, 012505 (2006). V. Batteiger, S. Knünz, M. Herrmann, G. Saathoff, H. A. Schüssler, B. Bernhardt, T. Wilken, R. Holzwarth, T. W. Hänsch, and T. Udem, “Precision spectroscopy of the 3s-3p fine-structure doublet in Mg+,” Phys. Rev. A 80, 022503 (2009). G. Nave and C. J. Sansonetti, “Reference wavelengths in the spectra of Fe, Ge, and Pt in the region near 1935 Å,” J. Opt. Soc. Am. B 21, 442-453 (2004). G. Nave, S. Johansson, and A. P. Thorne, “Precision vacuum-ultraviolet wavelengths of Fe II measured by Fourier-transform and grating spectrometry,” J. Opt. Soc. Am. B 14, 1035-1042(1997). S. Johansson, “The spectrum and term system of Fe II,” Phys. Scr. 18, 217-265 (1978). J. C. Pickering, M. P. Donnelly, H. Nilsson, A. Hibbert, and S. Johansson, “The FERRUM project: experimental oscillator strengths of the UV 8 multiplet and other UV transitions from the yP6 levels of Fe II,” Astron. Astrophys. 396, 715-722(2002). V. Kaufman and K. L. Andrew, “Germanium vacuum ultraviolet Ritz standards,” J. Opt. Soc. Am. 52, 1223-1237 (1962). R. C. M. Learner and A. P. Thorne, “Wavelength calibration of Fourier-transform emission spectra with applications to Fe I,” J. Opt. Soc. Am. B 5, 2045-2059 (1988). 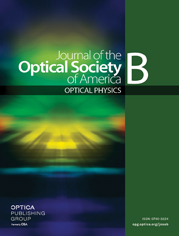 G. Nave, R. C. M. Learner, A. P. Thorne, and C. J. Harris, “Precision Fe I and Fe II wavelengths in the ultraviolet spectrum of the iron-neon hollow-cathode lamp,” J. Opt. Soc. Am. B 8, 2028-2041 (1991). A. P. Thorne, C. J. Harris, I. Wynne-Jones, R. C. M. Learner, and G. Cox, “A Fourier transform spectrometer for the vacuum ultraviolet: design and performance,” J. Phys. E 20, 54-60 (1987). U. Griesmann, R. Kling, J. H. Burnett, and L. Bratasz, “NIST FT700 vacuum ultraviolet Fourier transform spectrometer: applications in ultraviolet spectrometry and radiometry,” Proc. SPIE 3818, 180-188 (1999). J. W. Brault and M. C. Abrams, “DECOMP: a Fourier transform spectra decomposition program,” in High-Resolution Fourier Transform Spectroscopy, Vol. 6 of OSA Technical Digest Series (Optical Society of America, 1989), pp. 110-112. G. Nave, C. J. Sansonetti, and U. Griesmann, “Progress on the NIST IR-vis-UV Fourier transform spectrometer,” in Fourier Transform Spectroscopy: Methods and Applications, Vol. 3 of OSA Technical Digest Series (Optical Society of America, 1997), pp. 38-40. G. Norlén, “Wavelengths and energy levels of Ar I and Ar II based on new interferometric measurements in the region 3400-9800 Å,” Phys. Scr. 8, 249-268 (1973). W. Whaling, W. H. C. Anderson, M. T. Carle, J. W. Brault, and H. A. Zarem, “Argon ion linelist and level energies in the hollow-cathode discharge,” J. Quant. Spectrosc. Radiat. Transfer 53, 1-22 (1995). A. G. Maki and J. S. Wells, “New wavenumber calibration tables from heterodyne frequency measurements,” J. Res. Natl. Inst. Stand. Technol. 97, 409-470 (1992). R. C. M. Learner, A. P. Thorne, I. Wynne-Jones, J. W. Brault, and M. C. Abrams, “Phase correction of emission line Fourier transform spectra,” J. Opt. Soc. Am. A 12, 2165-2171 (1995). National Solar Observatory, “Digital library,” http://diglib.nso.edu/nso_user.html. A. E. Kramida, “The program LOPT for least-squares optimization of energy levels,” Comput. Phys. Commun. 182, 419-434(2011). V. Kaufman, “Wavelengths, energy levels, and pressure shifts in mercury 198,” J. Opt. Soc. Am. 52, 866-870 (1962). S. H. Emara, “Wavelength shifts in Hg198 as a function of temperature,” J. Res. Natl. Bur. Stand. 65A, 473-474 (1961). M. L. Salit, C. J. Sansonetti, D. Veza, and J. C. Travis, “Investigation of single-factor calibration of the wave-number scale in Fourier-transform spectroscopy,” J. Opt. Soc. Am. B 21, 1543-1550 (2004). C. J. Sansonetti and D. Veza, “Doppler-free measurement of the 546 nm line of mercury,” J. Phys. B 43, 205003 (2010). Fig. 1 Region of the Fe II a D 6 − y P 6 transitions. The labeled lines show the J values of the lower and upper energy levels, respectively. Fig. 2 Calibration of wavenumbers in spectrum fe0409.002 in Table 2 using Ar II standards from  and iron standards from [18, 19]. The error bars represent the statistical uncertainty in the measurement of the wavenumber. Fig. 3 Phase in the master spectrum, k19, used in . The insert shows the residual phase after fitting the points to an eleventh-order polynomial. Fig. 4 Comparison of wavenumbers in the master spectrum, k19, calibrated from Ar II standards from  and iron standards from [18, 19] adjusted to the scale of . The error bars represent the statistical uncertainty in the measurement of the wavenumber. Fig. 5 Comparison of wavenumbers in the master spectrum, k19, with those in i6, the main spectrum contributing to Table 4 of  in this wavelength region. Fig. 6 Partial term diagram of Fe II showing the determination of the y P 6 levels using transitions in the UV and visible regions. Fig. 7 Figure 3 from , with all of the Ge I wavenumbers reduced by 1.4 parts in 10 8 and the Fe I and Fe II wavenumbers increased by 3.9 parts in 10 8 . The mean value of k eff for the Ge I wavenumbers is ( 1.221 ± 0.020 ) × 10 − 6 , in agreement within the joint uncertainties with the value of ( 1.206 ± 0.020 ) × 10 − 6 from the Fe I and Fe II lines.